Call it as out of curiosity or hacking, in this article we will be guiding you on how you can find the password for the Network SSID with the help of your Android smartphone. Though we don’t believe in supporting hackers but it’s just an eye opener to you that simple passwords might are more prone to hacking. To ensure that this trick works or to make use of the same, you will have to first up ensure that your Android phone is rooted. To check on whether your device is rooted or not, you will have to download the “Root Checker” app from the Google PLAY Store. Tip: Just in case if your device is not rooted, then you can do let us know in the comments section about the same so that we can guide you to the rest of the process for rooting your Android device. Assuming that you have rooted your device, head over to the Google PLAY Store to download an app called “Root Browser Lite (free)” app. Once you have downloaded the app, open the same and navigate to the Data/misc/wifi folder to find the wpa_supplicant.conf file for opening the same. Now, with the help of “RD Text Editor” you will have to open the conf file. Please note that it’s not necessary that you will have to make use of RD Text Editor but any text editor can be employed for the same. Now, you will see that a list of data mentioning about various detais will be listed, so you now need to navigate to the “SSID” row in the name of Wi Fi network and then the “PSK” row will show the password of that particular Wi Fi connection. Tip: To ensure that your Wi Fi connection password is not hacked, you need to ensure that the MAC based security is enabled in your MODEM which is in fact the toughest to crack. Do share with us in the comments section just in case if you need any more help regarding the same as we will be more than happy to assist you with the same. The only limitation of this is that just in case if that Wi Fi based connection is having MAC level of security then you won’t be able to access the Wi Fi connection as one needs to add the MAC address of that device which is to be latched on in the modem settings. I have Samsung note 2 can you plz show me how to make note 2 rooted. 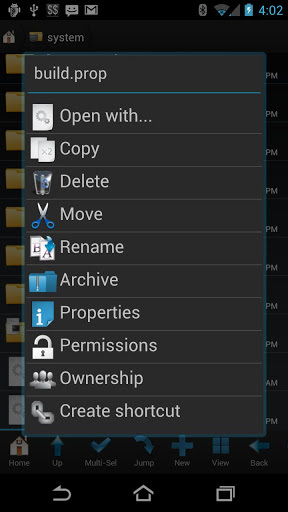 you need to create the same with the help of file manager and move the same. we will very soon come out with the Galaxy Core rooting process. my phone is not rooted….plz help.!!!. I have an Samsung Galaxy Nexus (Version JR……..XWLH2)and its not rooted. I’m a little bit afraid of doing it, but the more interesting apps I se, the more I’m aware of that I probably should do it ?!? my galaxy s2 I9100 is not rooted..can I get an app that will root it automatically from my device without using pc…like z4 root app..
Hi sir ..where can i add the MAC address for this ? Thanks for android advice. I’ve been rooted my galaxy s advance with xxld1 firmware using odin software. This only shows pass codes you have entered and saved in your device. It doesn’t show you ones you didn’t enter. Odds are if you entered it, you know it already. This is good if you have long forgotten your code though! Good instructions, I found the password as described. However, the passwords were already known since I added them to my network at home and at work. This is good for recovering a forgotten password if you can still access the network. How can I “rediscover” a lost password if I change phones. I have a Huawei Ascend 2 that isn’t rooted. Can you guide me as to how to go about doing that please? My device samsung p6200 is not rooted.pls i need directions on how to root it. I can’t manage to root my phone.